This year marks the fiftieth anniversary of Woodstock, the greatest rock concert of all time. Almost a half of a million people attended the three-day festival on Max Yasgar’s farm in upstate New York, experiencing the music of Jimi Hendrix, Janis Joplin, Santana, and other icons of the era. 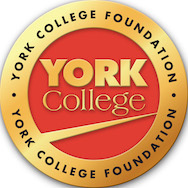 The York College Big Band will celebrate the historic event by exploring songs performed over those days of peace and music.